Mecca Verdell aka “Meccamorphosis” is a Baltimore based poet and performer of Dewmore Baltimore. In 2016, Mecca won Brave New Voices, an international youth slam. She’s also been a Radio show host for two Baltimore based radio stations, interviewing nationally and locally known poets and writers. She has been dedicated to provide youth with safe spaces to express their creative voices with free open mics, showcases and competitions. 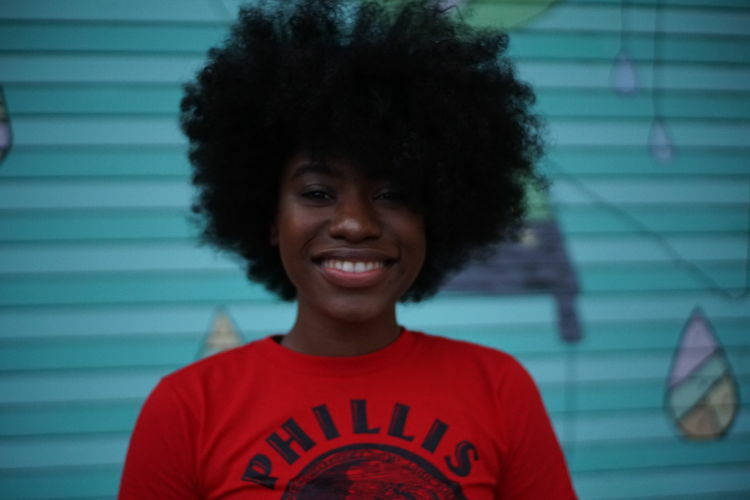 Mecca is the former Youth Poet Ambassador of baltimore of 2017, opening performer for Aloe Blacc at the National Education Association conference in 2017, Southern Fried Poetry Slam winner of 2017 and 2018, Top 10 finalist of the Woman of the world poetry slam 2018, and top 3 finalist for Texas Grand Slam. Outside of competition, she has taught the importance of using poetry as tool for social justice and healing from middles school, high school and colleges.